Jimmy is Certified Ableton instructor, producer, and bassist based in Austin, Texas. He has been playing music since 1984. Jimmy has been offering Ableton Live Training in music production, live performance and DJing since 2007. His teaching style is adaptive to the needs of the student and private instruction dramatically cuts down the learning curve which will have you interacting with live in the way that is most productive specifically you. Jimmy has helped a large number of experienced and inexperienced DJ’s, Musicians, Producers, and Song Writers make the transition to Ableton Live. Training consists of various teaching techniques, lots of hands on, visual references, and different approaches. Jimmy is also well versed in many instruments including upright bass, electric bass, guitar, drums, synths, percussion, and vocals. He is well apt in working with instrumentalist and vocalists to help them understand how to use Ableton Live. For live performance, Jimmy approaches Ableton Live as an instrument via Controllerism. Controllerism is the practice of using midi controllers to interact with music software like an instrument. The goal is to not touch your computer and to not have to look at the screen often during a performance. 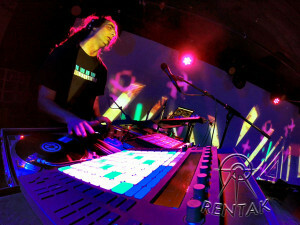 A controllerist will set up midi controllers to do all of the functions needed with A Live performance set. Check out “The Godfather of Controllerism”, Moldover. http://www.moldover.com/. 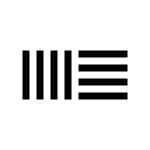 Get a jump start on Ableton Live 9 and the Ableton Push. Jimmy Allison is one of the first people to have a Push and has gained extensive knowledge of Ableton Push’s features and functionality. Jimmy is the founder of the Austin Ableton User Group. The user group is a group of electronic musicians that gather once a month to swap ideas and do workshops. Jimmy has gained a lot of experience teaching from doing workshops and teaching group members Ableton Live. Rentak is Jimmy Allison’s stage name and primary musical and visual project. Rentak is a man of many hats and many skills. Performances can be as simple as a Quneo controller and Laptop running Ableton Live, or a full rig set consisting of Ableton Live, Traktor Scratch Pro, Resolume, Minitaur, electric bass, upright bass, softstep, 12step, quneo, qunexus, Abrleton Push, APC 40, Traktor Z2, two turntables, and what ever other instruments/controllers that Rentak feels like setting up. Rentak also may do video projection and lighting during his sets or for other performers. Rentak can do all original set mainly consisting of Jungle music as well as DJ sets using Traktor Scratch Pro. for me info check out the website. Lux Dvion was a project that Jimmy Allison was involved in as co-producer and performer. Lux Divon’s primary members are Carrie Allison and Jimmy Allison. (Lux and Rentak) Lux Divon is a multi genre project focusing mostly on Trip Hop, Dub, Dubstep, Break Beat, Jungle and various other genre. Lux Divon tends blend and bend based on an ever increasing musical pallet.